An animation career in Stoke-on-Trent? Is an animation career in Stoke-on-Trent possible? Well, I have one (I co-own an animation company in Stoke) and so do five other people I know (they work with me), but for the average animator in the UK, the realistic answer is “no”. 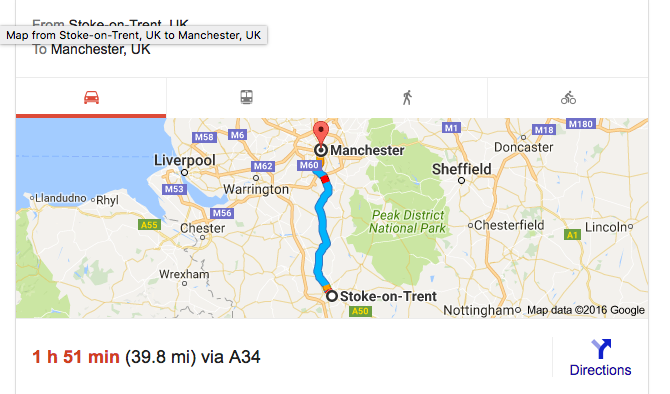 Funny really, because ask the same question 39 miles North of Stoke (Manchester) and the answer is “Yes, of Course”. Or perhaps try 40 miles to the south in Birmingham, where the answer also is “yes, absolutely”. And of course further south in Bristol the answer is also a confident “yes” (and London is a no brainer). So above and below Stoke-on-Trent there is an abundance of animation careers, but in Stoke there is not. Rather than asking why not, let's just skip to the solution. How can we make it possible to have an animation career in Stoke-on-Trent? Well, the first answer is people need to start up creative businesses in Stoke. There is no real reason not too. The internet makes the global stage accessible to us all, despite geographical location. Staffordshire University, Stoke Sixth Form and Stoke-on-Trent’s colleges are all providing talented students to employ, and the train station is about 30 minutes to an hour from plenty of key cities in the UK. The area is offering support for start ups and there is a real gap to fill here for creative entrepreneurs. The more people there is ploughing this land, the better the harvest and a talent pool of artists will begin to grow, as well as a reputation. That's the second thing Stoke needs, a talent pool. There are 20+ talented students graduating from Staffordshire University Animation course each year and at the moment most get right back on the train they arrived in Stoke on 3 years earlier. That needs to change. They need to have options in Stoke, they need a sustainable job, with contracted employment that doesn't end after only 6 months and they need the option of choice and the motivation of a career path that leads to promotion, responsibility and personal fulfillments. They have a right to expect what other artists in thriving creative hubs can take as standard. The future is bright for Stoke-on-Trent, mark my words. We will be employing creative people much more frequently in the years to come. People will start coming to Stoke for creative careers, high-quality products and a competitive service. Television shows, films, advertising and marketing will be made here and we will have a thriving digital economy that the innovative thinkers of Stokes past would be proud of.